Custom-formulated to deliver the highest-quality output, our Standard Resins capture astonishing detail without sacrificing strength. High-detail materials for jewelry design and clean investment casting. 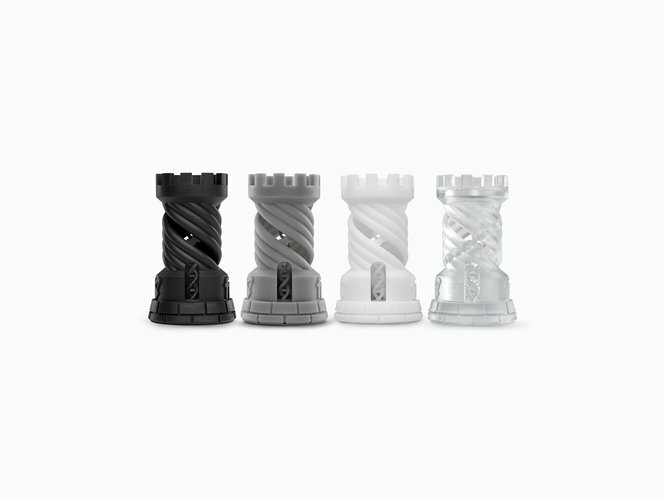 Prototype impressive concept models and manufacture distinctive pieces with sharp resolution and the best surface finish on the market, from idea to fitting to casting. 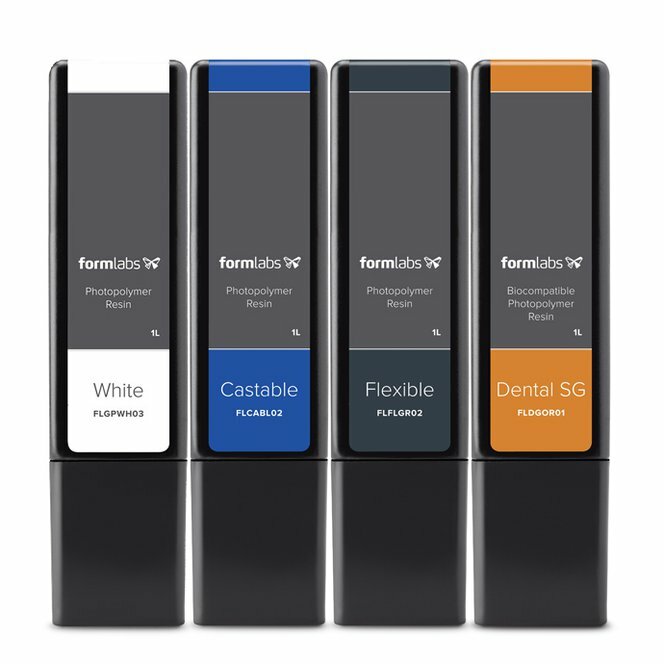 Professional Materials for digital dentistry. 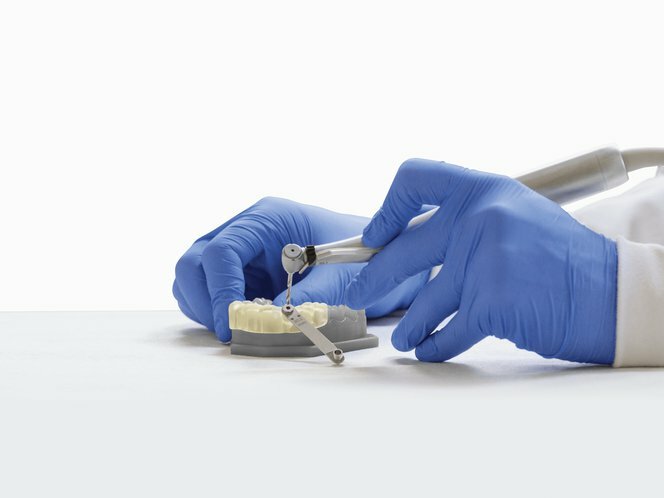 Formlabs Dental Resins enable high precision, low-cost digital production of a range of dental products in-house, including surgical guides, orthodontic models, retainers, and aligners. 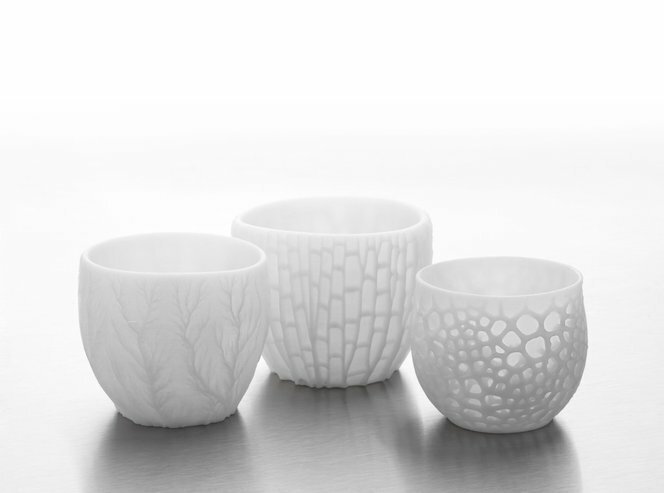 Parts 3D printed in silica-filled Ceramic Resin can be fired to create a fully ceramic piece. This experimental Form X material requires more trial and error than other Formlabs products. components of the printing process. 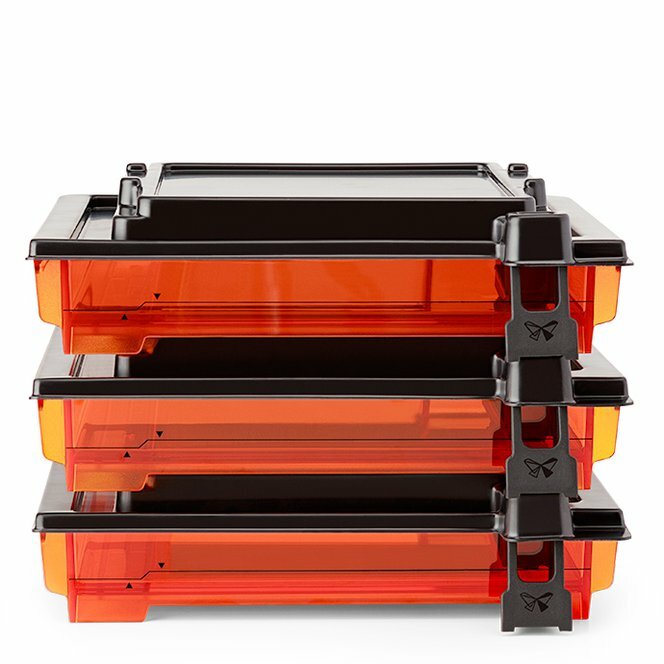 Easy to use, removable, stackable. 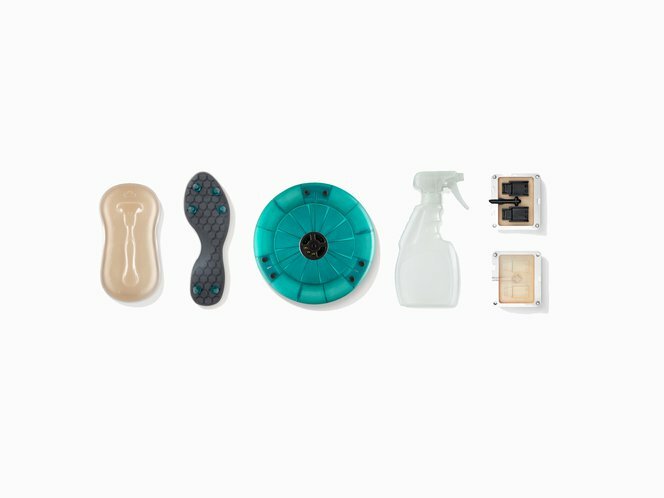 Available in 1L from the Formlabs store.